If you’re looking to upgrade your basement, installing hardwood floors is a great option. Contrary to what you may have heard, it is possible to have beautiful hardwood flooring added to your basement without breaking the bank. 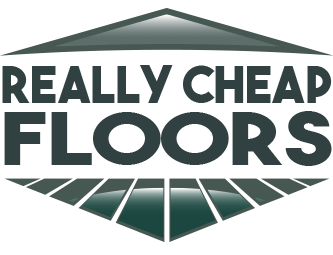 To help you make the right purchase, ReallyCheapFloors.com has put together a guide to finding cheap flooring for basements. When it comes to basements, choosing a type of hardwood flooring that can stand up to moisture is essential. Basements typically have more moisture than the rest of your home, which can be due to rainwater, groundwater, humid air, unvented clothes dryers, and/or the moisture found in concrete after construction. The prevalence of moisture in basements makes using solid hardwood flooring a poor choice. When solid hardwood boards are installed below grade, moisture can cause the wood to swell and move. The only way to ensure that your solid hardwood floors stay in place in a basement is to use an expensive type of high solid glue. Instead of spending a lot of money on this special glue, we recommend installing engineered hardwood floors in your basement. While solid hardwood floors are made from a single piece of lumber, engineered floors are made from three to nine layers of wood. The top layer of an engineered floorboard is high-quality hardwood, but the sublayers are plywood that may or may not be from the same species of tree. The plywood sublayers of engineered floors run in different directions, which creates very stable boards. Due to their unique design, engineered floors are much more resistant to moisture than solid hardwood floors. Engineered boards are the best type of cheap flooring for basements because they will stay in place without an expensive high solid glue. ReallyCheapFloors.com stocks a wide variety of engineered hardwood floors that you can order online. We purchase seconds, overstock, and discontinued floors from large companies, which allows us to offer some of the most competitive hardwood flooring prices in the nation. All of our floors are made right here in the United States. The first step of ordering your floors from us is to grab a tape measure and find out the area of your basement. Then, you can browse our listings of engineered hardwood floors to find the perfect type of wood for your home. Once you have picked your preferred variety of hardwood, you can fill out the form on the product page to get a freight quote based on your address and the size of your order. Be sure to add an additional 5 to 10 percent of extra boards to your order so a potential cutting mistake doesn’t derail the installation process. If you have any questions about ordering cheap flooring for basements, don’t hesitate to give our friendly staff a call. You can also send us an email by visiting our Contact page. We look forward to hearing from you!